PRENUPTIAL AGREEMENT PREPARATION: Getting married? 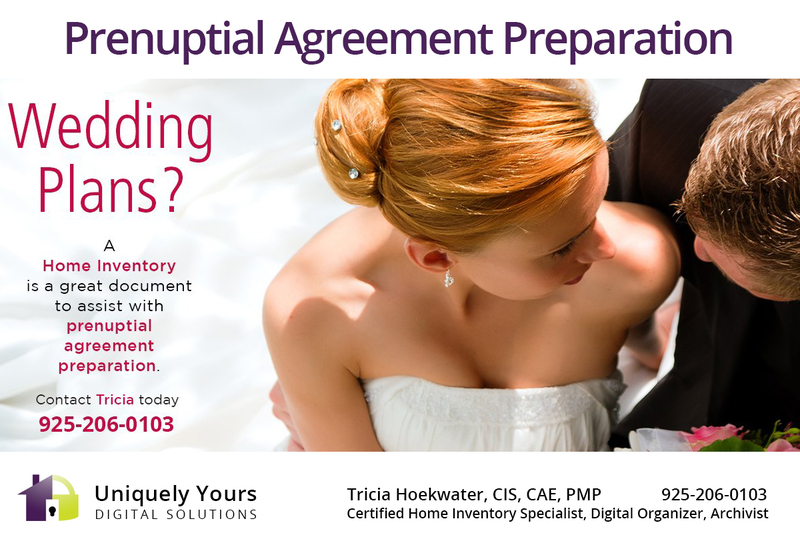 A home inventory is a great document to assist with prenuptial agreement preparation. Take care of yourself…your family…and what you have! Get a home inventory today. Contact Tricia via phone at 925-206-0103 or by email: uniquelyyours@outlook.com to schedule your inventory today.